Have you ever wondered why storytelling is such an omnipresent theme of human life? Welcome to another guest segment of “The Writer s Brain” where I pick the brain of a neuroscientist about elements of great writing. 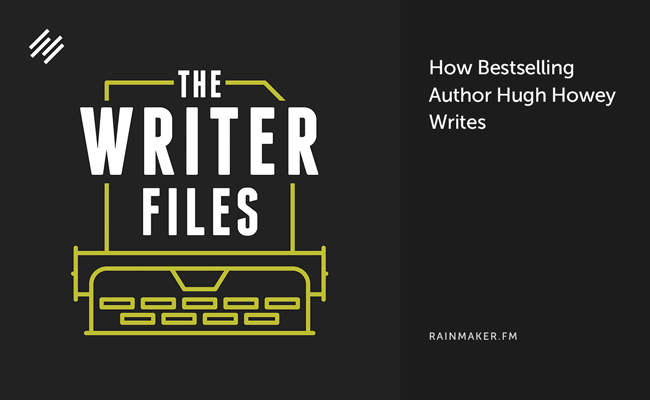 Prolific, bestselling, multi-genre author Hugh Howey took me on a walk through the writer’s process. The Showrunner behind multiple top-ranking podcasts and Vice President of Marketing for the Rainmaker.FM podcast network, Jerod Morris, paid me a visit this week to talk about his beginnings as a writer, podcaster, and digital marketer.